We hope that the following inspirational quote regarding life will help you, particularly if you are going through a bad time. At times, we all feel unable to cope with the demands of daily life. With regards to the quote, it’s from the Patron Saint of Animals. As an avid dog lover, I find it so inspirational. I hope that you do also. Francis of Assisi: He was born in Umbria in 1181. He was the son of a prosperous merchant. Francis, however abandoned all his rights and possessions and founded the order of the Franciscans. He worked to care for the poor and one of his first actions after his conversion was to care for lepers. He was the patron saint of animals. Please SHARE this video and leave a comment below. Thank you. Such a short but very sweet message – being an animal lover and advocate for the voiceless I am familiar with the name Francis of Assisi but this much I did not know about him so thanks for sharing that information! Short but sweet message – being an animal lover myself and advocate for the voiceless I am familiar with the name Francis of Assisi but this much I did not know about him so thankyou for sharing some of his history. The delivery of the message in a video is also a nice touch. Glad you enjoyed the quote, especially in video form. I find that more and more visitors are enjoying this format, which includes the history of the person behind the quote. They are short and easy to view. This is marvellous about your Mum being born in Umbria and you actually walking near the church wherethe Patron Saint of Animals was born. I have found that your article is very inspirational for me and this will be new concept for many person who loves animals and shoot video of them. I will share this theory with my friends. I hope most of the people will like this concept. Thanks for sharing this with us. So glad that you enjoyed the video and the content. Thank you for sharing, as I am trying to spread the word. This is a brilliant post! That is quite a powerful quote by Francis of Assisi. I think that is a great lesson for all of us to remember because it is easier to make excuses, than to do what is necessary. I am not sure many of us today would be able to do the same. To give up all your rights and possessions in order to care for others seems like a crazy thing to do but I think that he was onto something most of us have yet to discover. We all spend our lives chasing after materials and not really thinking about the people around us but perhaps we are doing things backwards? Why was he called Patron Saint of Animals? Were lepers considered animals or did he actually take care of animals as well? 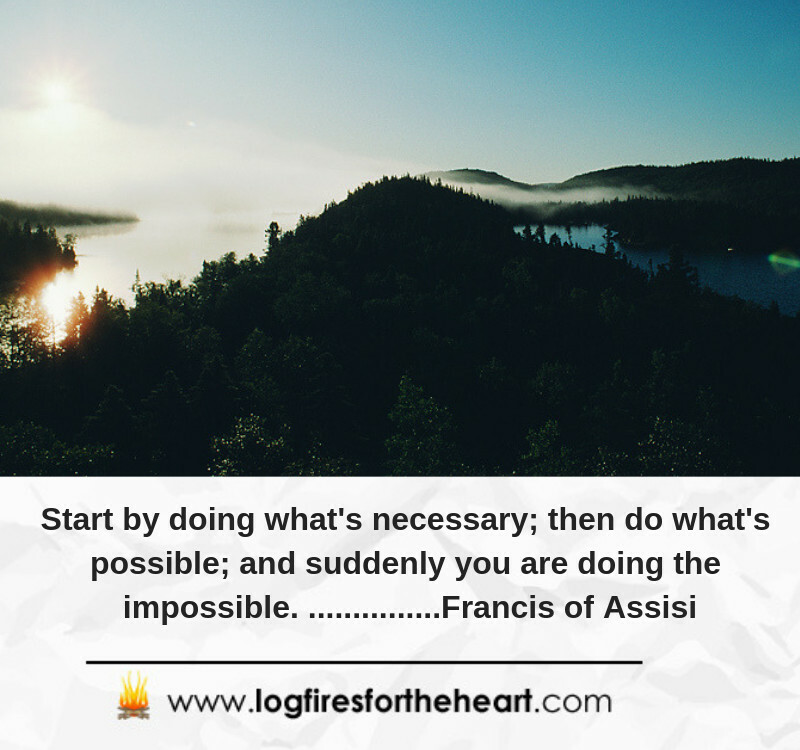 Thanks for sharing this inspirational quote, I believe that we should be able to affect other people’s lives from the blessing we get from each day, rendering help to the poor or needy and the physical challenged, as well just as Francis Assisi did a selfless service for the poor. Glad you enjoyed the quote. I always believe that we should try and be kind to people, whereever possible, because we are all fighting a daily battle, called life. The Internet is full of inspirational videos. This one is very good. I hope that you will post more of that kind of videos. This is a very nice and emotional. It is good content when you feel overwhelmed and you are looking for this kind of content. I hope to come here again for more content. Thank you for posting. Glad you enjoyed the content and the video. Thank goodness for these wise people. I love inspirational quotes. This quote really inspired me, had to read it over and over again because each time I read it, it gives me a new meaning. I can not have enough of inspirational quotes, they are what keeps me strong, especially when things are going bad. Thank you very much for this, hope to get more of it. 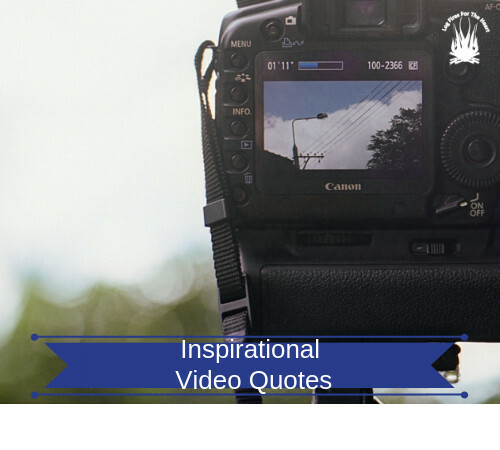 I love inspirational quotes also, especially when they are in video form. They remind me not to give up on myself and on life. Hi! Thank you for this post and video. I appreciate all the work you have put into creating and maintaining your site. This quote certainly applies to you that are delivering useful content to help people. You started doing what’s necessary to create this site. Then you have moved to do everything possible to continue helping people. And there are still years to come when you’ll be doing the impossible. Thank you so much for yor kind comments. They are deeply appreciated. It makes all the ahrd work worth while.